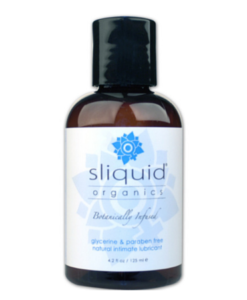 Sliquid Organics Natural is a multi-award winning water-based personal lubricant. Sliquid has been created using certified organic natural ingredients to protect intimate areas and imitate your body’s own natural lubrication. Sliquid is entirely glycerine and paraben free setting it well apart from petroleum and mineral oil-based lubricants. Formulated for delicate and sensitive tissues, Sliquid Organics Natural personal lubricant keeps intimate areas nourished and safe. 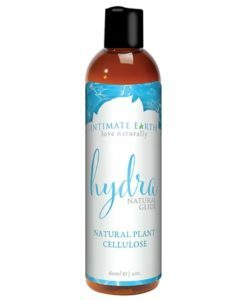 125 ml (4.2 oz) water-based personal lubricant infused with certified organic botanicals. Sliquid Organics Natural Personal Lubricant offers women a healthy choice. 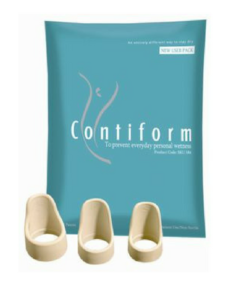 Water-based personal lubricant contrasts with petroleum-based lubricants & natural oil-based lubricants (Vaseline, mineral oil products and baby oil) which stain clothing and have the potential to irritate the vaginal tissues and destroy latex, cervical caps or diaphragms. Silicone-based lubricants can degrade pelvic exercisers made from silicone which is why water-based lubricant is preferable when used for this purpose. Sliquid Organics Natural personal lubricant is water based and water soluble, making it easy to clean with water. 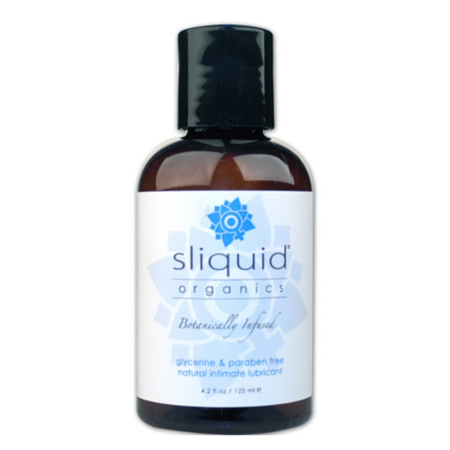 Sliquid Organics Natural will not stain clothes, become sticky or tacky with use. 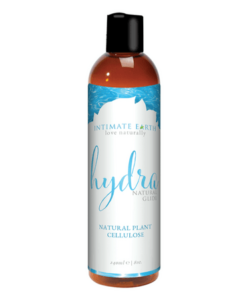 Plant Cellulose (from Cotton) enhances the consistency of the lubricant. Aloe Barbadensis* (Aloe Vera) & Hibiscus* are plant derived extracts for healing, moisturizing and soothing the skin. Cyamopsis (Guar Conditioners) is a non toxic and natural additive that enables the plant cellulose fiber to move and feel slippery. Flax* & Alfalfa* are restorative and healing emollients, restoring elasticity to the skin. Green Tea* is an anti-inflammatory. Sunflower Seed* for amino acids and minerals. Citric Acid (Citrus Fruits) is used as a natural antiseptic/astringent cleanser and preservative. It is combined with the smallest amount of Potassium Sorbate, which is a natural preservative that also works as an anti fungal. The combination of these two keeps unwanted bacteria and mold away, and extends the shelf life, making this a safer product for women. * Organic botanical extracts are independently certified by Quality Certification Services in compliance with the USDA National Organic Program.